REFRESH CONTACTS® formula contains a long-lasting lubricant that helps your eyes retain moisture, creating a cushion of comfort and protection. REFRESH CONTACTS® may be used with soft and rigid gas permeable (RGP) contact lenses. Can be used as often as needed. For the temporary relief of dryness and irritation associated with contact lens wear. Replace cap tightly after use. To avoid contamination, do not touch tip to any surface. To lubricate and rewet lenses during the day: With the lenses on the eye, instil 1 or 2 drops into each eye as needed, or as directed by your eye care practitioner. Blink several times. 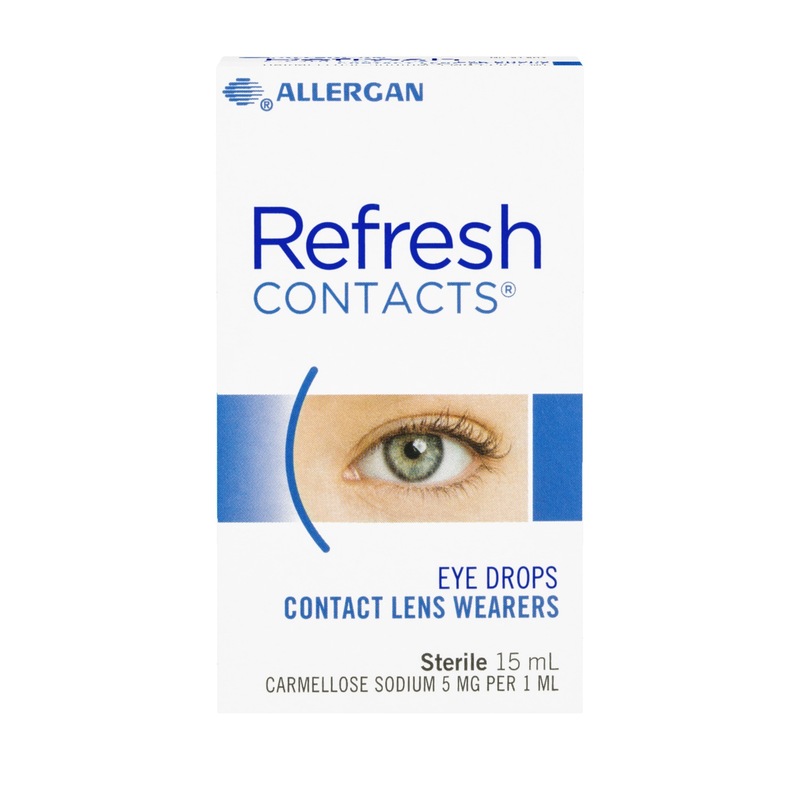 For extra comfort: Place 1 or 2 drops of Refresh Contacts eye drops on each side of each lens before application.